With the beginning of the scientific and technological revolution, human beings have entered the era of full civilization from semi-civilization. All mechanical products have experienced scientific and technological progress, but the oil filter equipment has not changed much in recent years. Then in the end after entering the rapid development of science and technology era, what kind of innovation can be carried out? This is a question that all Oil Filter Manufacturers should think about. We have experienced nearly 10 years of history from the traditional oil filter equipment for removing impurities to the later multi-function oil filter equipment for removing water and impurities. In the history of more than 100 years since the beginning of the scientific and technological revolution, human beings have created the sum of all previous inventions. Oil filtration belongs to a remote industry, and modern oil extraction methods have changed in texture. Leaching technology was invented in this era. Indeed, such technology has brought a huge revolution to oil refining production all over the world, but also brought a huge disaster. Because leaching technology is a chemical extraction process, from ancient times technology produced oil, how can not be compared with this oil. 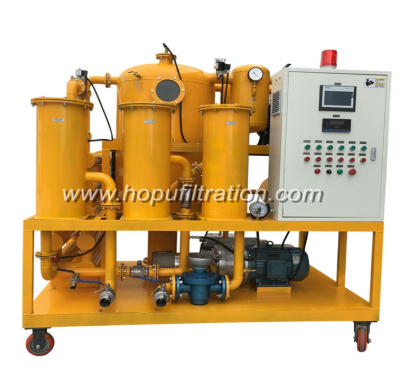 As a Cooking Oil Filtration Machine Manufacturer,welcome to contact us.